Today’s business environment is extremely complex. Whether you are forming a company, engaging in a multi-million dollar commercial transaction or looking to raise venture capital for a new or existing enterprise, you need a law firm whose attorneys can help you navigate the corporate landscape with both comprehensive and practical legal advice. The attorneys at Rice Reuther Sullivan & Carroll LLP take pride in working closely with our clients so we can understand their specific needs. Our approach is to stay laser-focused on accomplishing our client’s specific goals while assisting them at avoiding the traps and dangers that too often arise in the ever-changing world of commercial transactions. General corporate law and commercial contracts. From business acquisitions and dispositions to everything in between, our attorneys assist the firm’s clients in all aspects of domestic and cross-border business transactions. We can assist you in every phase of your contract negotiation and management. LLCs and joint ventures. Although joint ventures and limited liability corporations are revered for their flexibility and tax advantages, their founding can be fraught with complications. At RRSC, we help our clients configure their new enterprises in accordance with the unique requirements needed to best accomplish the goals of the business. Corporate governance. Any company that hopes to maintain its forward mobility has a moral and legal obligation to steer clear of fraud and corporate abuse. An attorney skilled in the many aspects of corporate governance can advise your executive officers and board of directors concerning appropriate modes of behavior in this regard, thereby ensuring their adherence to your company’s legal, contractual and fiduciary responsibilities. Securities. On a regular basis, your company must juggle financial matters ranging from simple routine issues to complex, multi-layered transactions. Our business attorneys can help guide you safely through all manner of corporate securities law while ensuring their adherence to state and federal regulatory requirements. Private placements and syndications. Business owners and entrepreneurs seeking to raise capital often want to avoid the hassle of dealing with registered securities markets, instead choosing to raise venture funds through the aid of private investors or the establishments of syndicates. Regardless of your specific needs, RRSC is ready to assist you in setting up your investment vehicle so that it complies with all restrictions, registration regulations and government directives. Business formation. When starting up a new business entity, the most important decision you’ll have to make will likely concern its type. Mistakes in this area often abound. You might consider setting up as an S or C corporation when in your particular circumstances, an LLC or LLP might better suit your needs. One of our business-planning attorneys will work with you closely to determine your requirements and give you the kind of personalized advice you need to get your enterprise off to a running start. 1031 like-kind exchanges. Section 1031 of the Internal Revenue Code allows your company to make a tax-free exchange of trade or investment assets with so-called like-kind property that you intend to use for the same purpose. Although such transfers may seem simple on the surface, the successful implementation of reassignments that often involve billions of dollars’ worth of material goods and investment vehicles demands the assistance of a legal professional with the proficiency and tax experience to carry the transaction off successfully. Licensing. A company that fails to meet its licensing requirements is one that rests on shaky legal ground. To keep your enterprise safely out of the quicksand, our licensing attorneys will draw up a firm legal framework that protects the welfare of your business and any patents, trademarks, copyrights or intellectual property that go along with it. Nonprofit organizations. When you enlist the services of RRSC to form your nonprofit, we will begin with a thorough consultation to familiarize you with your options concerning its establishment and governance while covering all the bases to ensure that your organization acquires the tax-exempt status for which it is eligible. 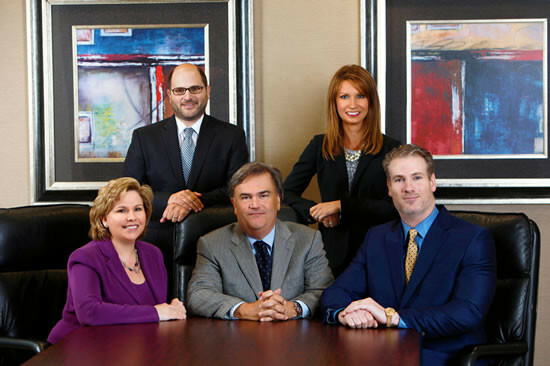 The dedicated team of attorneys at Rice Reuther Sullivan & Carroll LLP continually strives to understand both the underlying business as well as the specific goals of our clients. We strive to assist our clients in navigating the complex legal environment so they can stay focused on achieving the goals of their business. In partnership with our client, we desire to help them make the best business decisions they can and maximize the potential of their enterprise.